Making a rose garden requires a commitment to your potential garden. Roses require continual attention to reach blooming potential. This doesn't mean you'll be slaving away in your garden every day. Consistent care makes for beautiful flowers. Making a rose garden involves so much more than simply digging holes and slapping plants into the ground. The best gardens consider the best cultivation circumstances for each plant as well as multiple other plant health considerations. Certain steps will help you make a rose garden that will provide many years of beautiful plants and possibly be the envy of every visitor to your garden. Choose the perfect location for your rose garden. This area should receive six hours of sun each day during the growing season. 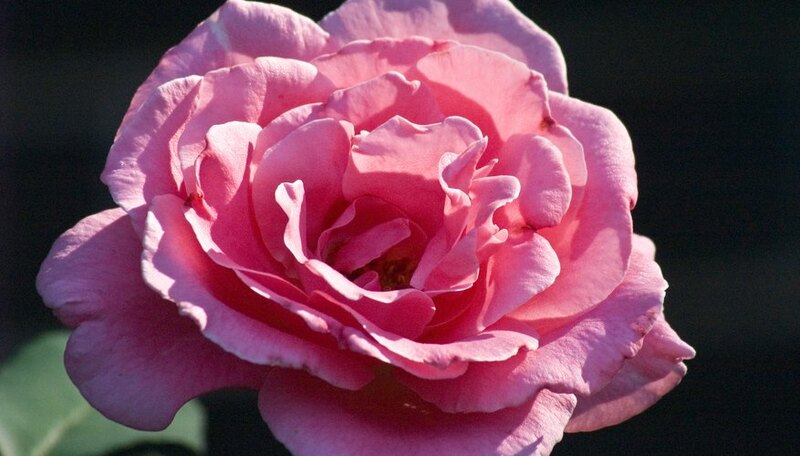 Roses require good drainage as well as air circulation around each plant. Crowding a rose garden within an existing garden will limit your blooms and stunt the growth of the plants. Remove all weeds, grass and other plants from the area. Turn over the top 12 inches of soil using a shovel or tiller. After turning over the garden, dump a 2-inch layer of peat moss into the garden. Work this into the dirt using the tiller or shovel. Peat moss helps aerate the soil, adds organic matter and helps the soil retain moisture. You can also use compost, humus or any organic soil conditioner in place of the peat moss. Lay out your rose garden with the plants still in their plastic pots. Position the plants about 3 feet apart measuring from the center of the bush. This spacing will allow circulation around the roses that helps prevent disease. Decide on your final rose plant placement. Dig individual holes about 18 to 24 inches deep and wide for each plant. Toss a handful of peat moss into the bottom of the hole. Tip the rose plant onto its side while still in the pot. Press down on the outside of the planting pot as you rotate the plant. This loosens the plant from the plastic container. If this doesn't work, try carefully clipping away the plastic pot with pruning clippers. Position the rose plant into the hole. Locate the bud union a few inches up from the roots on the main stem. It looks like a knot. The bud union should be about 3 inches below the garden surface. Fill in around the rose bush carefully, making sure to compress the soil to remove air bubbles. Mound the soil around the bush to a level roughly 3 inches above the surround garden surface. Apply a 4-inch layer of mulch to the entire garden. Water each individual plant at the base to avoid drenching the leaves. Roses need considerable water each week. Water regularly during plant establishment and about 1 inch per week during mild summer weather. Hotter months require more water of at least 2 inches each week.